The other day a friend of mine asked me, with a hint of sarcasm, "What is it you haven't done?" While the question was more rhetorical than definite, it got me thinking about some things I want to do before I "kick the bucket." We normally don't think to create a Bucket List until later in life. Many times it's created out a sense of regret, dreaming about all the things we wish we had done. I created a list some months ago but hadn't revisited it until last week. 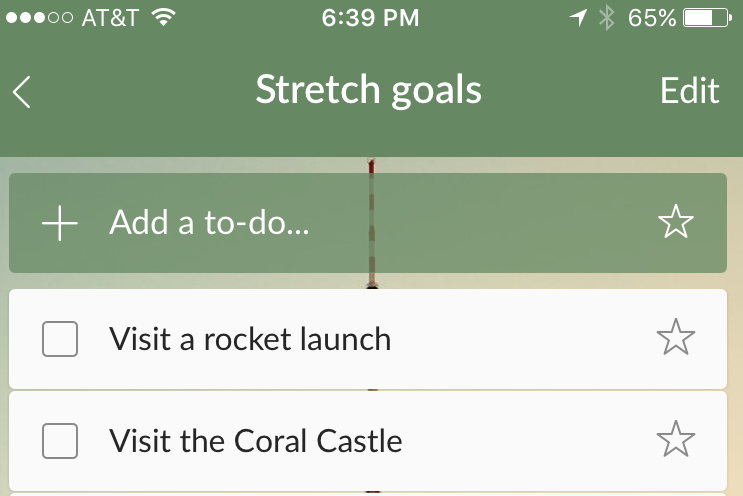 Immediately I realized that two of the things on my list (Witness a Rocket Launch and Visit the Coral Castle) were located within a few hours drive from where I currently live. So last week, out of curiosity, I googled 'rocket launch' and saw only one available scheduled launch. I snatched a ticket and the next day at 5am my friend and I drove over 150 miles up to Kennedy Space Center to witness our first rocket launch. I didn't realize how big of a deal it was for some people. One family drove all the way from Austin, TX to Cape Canaveral, FL with their kids to see it. Apparently, Houston doesn't launch rockets or shuttles from their site. 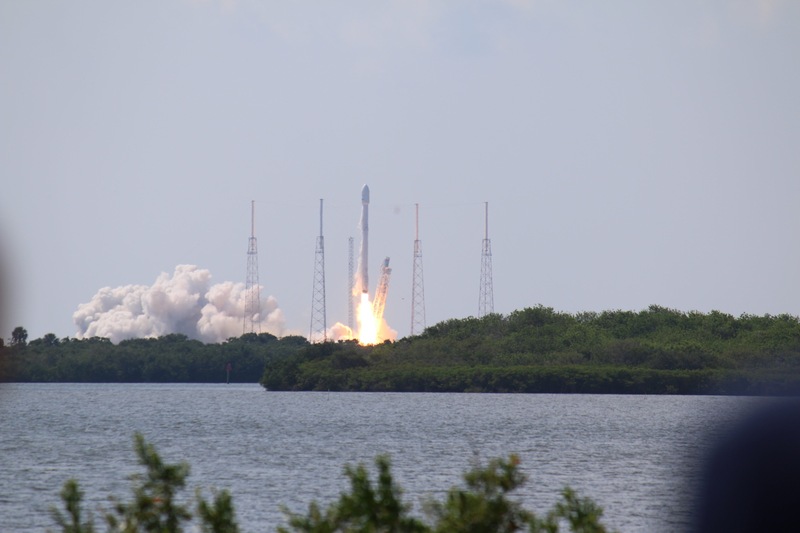 The rocket was a SpaceX Falcon 9 carrying several communication satellites into space. Apparently it costs upwards of $60 million to launch one of these things. In attempt to cut down on costs in the future, SpaceX was experimenting with landing the rocket safely on a drone ship in the middle of the ocean. I learned later that the attempted landing didn't work out so well. It suffered a RUD (rapid unscheduled disassemble) upon impact. In other words, it crashed! The best way I can describe the launch experience is like witnessing an anticipated lightning strike. From a distance you see the boosters ignite, the count-down sound (which is delayed about 5 seconds), and then, after the rocket is airborne, you feel the rumbling in your chest as it ascends through the cloud. We were located about 3 miles away from the launch site at LC-39, the closest we could get. The museum was just as fascinating. They had the fully-intact Atlas orbiter hanging from the ceiling with separate exhibitions of all the internals: The crew cabin, payload bay and lavatory. There were several IMAX theaters showing films on everything from the first shuttle launches to the more recent mars rover expedition. They even had an opportunity to meet an astronaut. I've never been an avid follower of space travel and exploration but seeing the rocket launch and the Kennedy Space Center Museum changed all of that. I recommend everyone create a bucket list and don't hold back. No matter how infinitesimal or grandiose the task may be, write it out. Once you identify what is most immediately attainable, take steps toward checking off something on your list. My next challenges are to visit the Coral Castle and become a PADI-certified Scuba Divers because... why not?